A few days ago, in Mexico City, Microsoft organized the XO18, an event dedicated to XBOX and Console enthusiasts. Cleverly chosen, just before Black Friday and the celebrations, the date had multiple goals. First, to entice those undecided Gamers across the globe to get into the Xbox world against the competing PS4. And the first move in this direction is the acquisition of two Game Studios, InXile Entertainment, and Obsidian Entertainment. The goal, as you will see in the following video is more exclusive content for the XBOX. Xbox Live Gold $ 1 for the first month for all new subscribers between 11/15 and 11/30; the 40% discount on the three-month subscription from 11/22 to 11/26. Keyboard and mouse support is a reality. One of the first games supporting them is Fortnite, while more games will be added to the list. 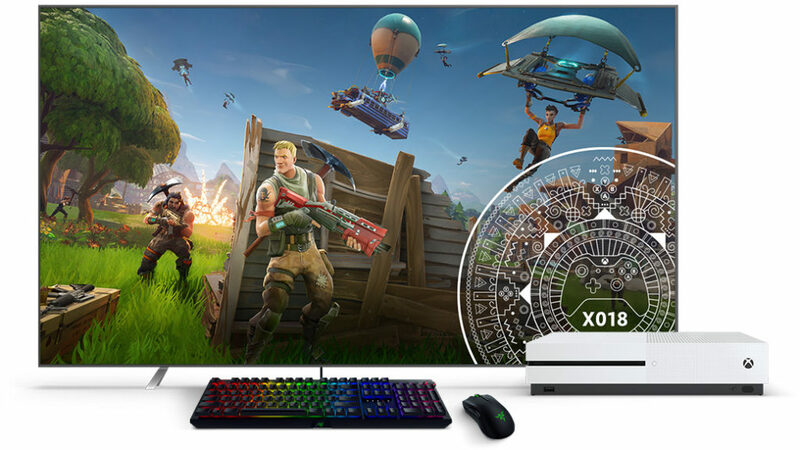 Microsoft announced its exclusive collaboration with Razer, which is expected to present Keyboards and Mouse, specifically designed for the Xbox, at the next CES in January.